The LNA4ALL is a pre-amplifier and a low-pass filter (LNA) with SMA female RF connectors and for RF frequencies covering all bands from 28MHZ to 2500 MHz. It improves greatly reception performance, on VHF-UHF (up to 2.5GHz) bands, of a USB stick TNT / RTL-SDR or the HackRF One and Airspy. Power is to build yourself via a 6V/9V by connecting simply 2 power cables or 5V with a modification on the board. The LNA4ALL can also be powered directly by the SMA female connector (input) connected to HackRF One or Airspy (with changing the card). 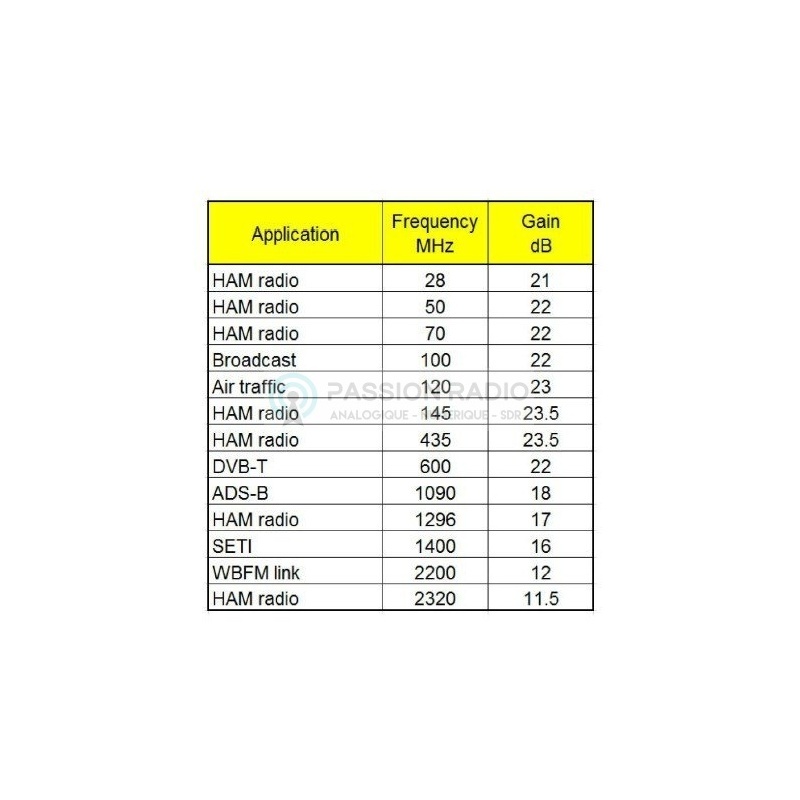 See also the LNA4HF version for 150KHz to 30MHz preamplifier HF bands. 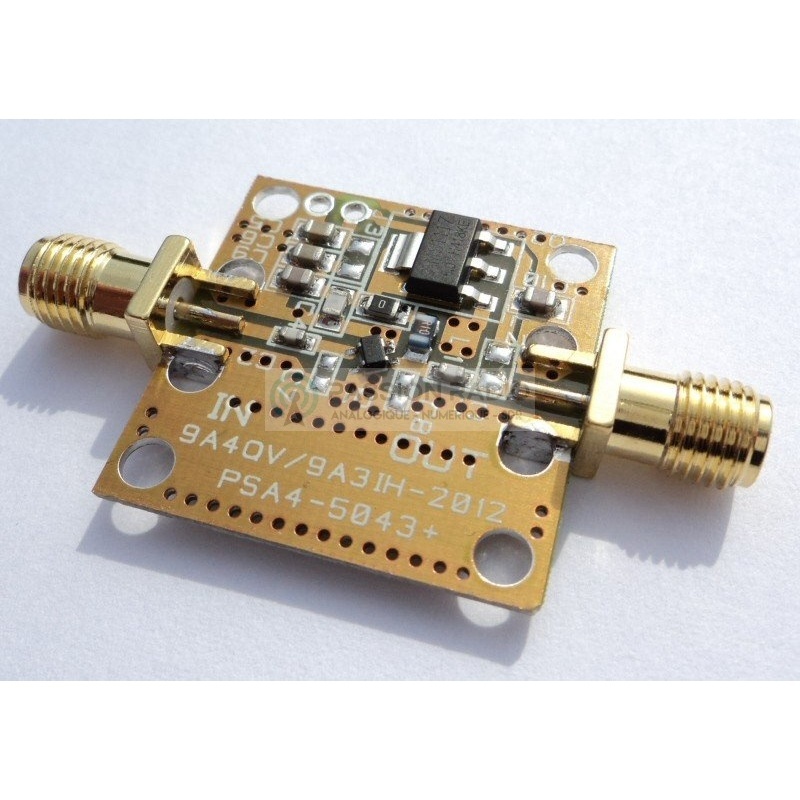 Description: The LNA4ALL is a pre-amplifier and a low-pass filter (LNA) with SMA female RF connectors and for RF frequencies covering all bands from 28MHZ to 2500 MHz . It improves greatly reception performance , on VHF-UHF (up to 2.5GHz) bands, of a USB stick TNT / RTL-SDR or the HackRF One and Airspy. 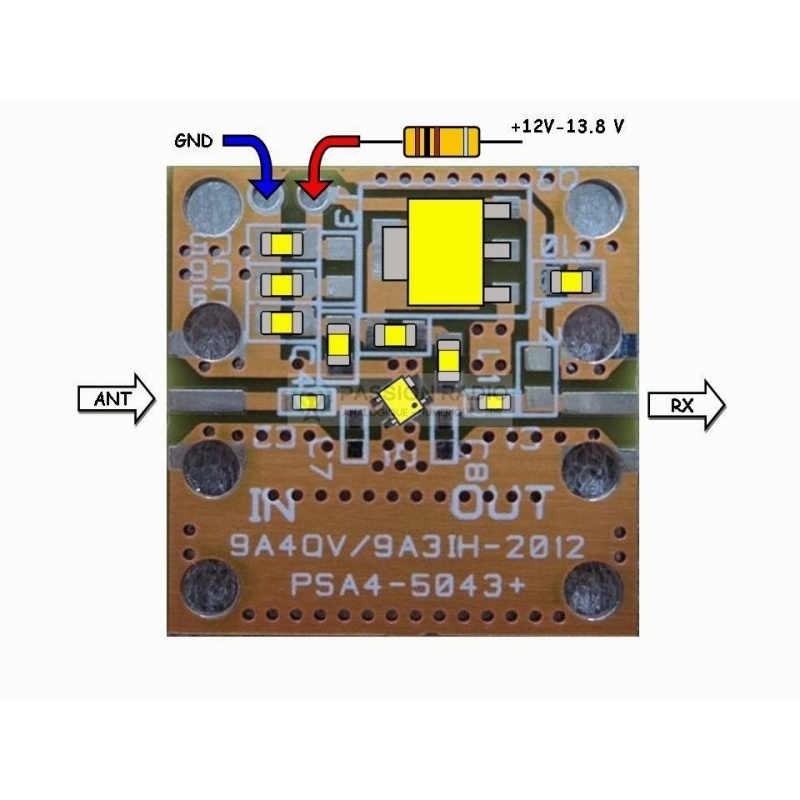 Power is to build yourself via a 6V/9V by connecting simply 2 power cables or 5V with a modification on the board. The LNA4ALL can also be powered directly by the SMA female connector (input) connected to HackRF One or Airspy (with changing the card). See also the LNA4HF version for 150KHz to 30MHz preamplifier HF bands.